Continental elegance meets well manicured English gentility in this small but exclusive pocket of North-West London. 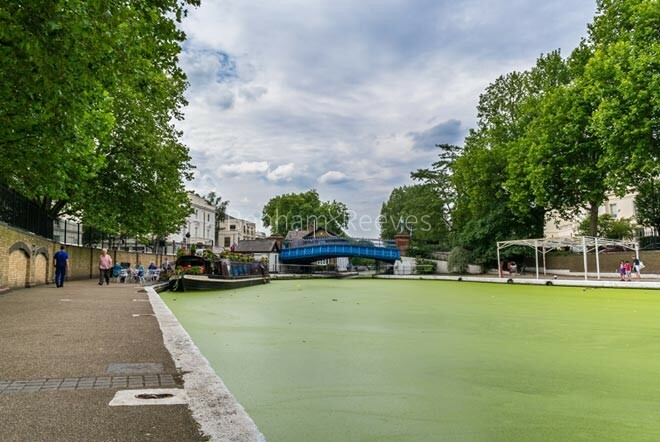 The name Little Venice refers to the point where London's Regents Canal intersects the Edgware Road and here you will find wide tree-lined avenues, large communal gardens and red-brick mansion blocks from the late-Victorian and Edwardian eras. The singular charm of these houses however, is the fact that they overlook the canal with its picturesque complement of houseboats, locks and barges. A regular waterbus service operates eastwards around Regents Park, calling at London Zoo and Camden Town while a number of floating theatres and art galleries add to the waterfront charm of the neighbourhood. Being next door to a microcosm of Venice or Amsterdam gives the surrounding district of Maida Vale, already known for it's chic restaurants and shops an added sheen of desirability to the advantage of being only 10 minutes from London's West End. Maida vale underground station is serviced by Bakerloo line. Many buses run along Edgware Road and nearest rail station is Paddington.